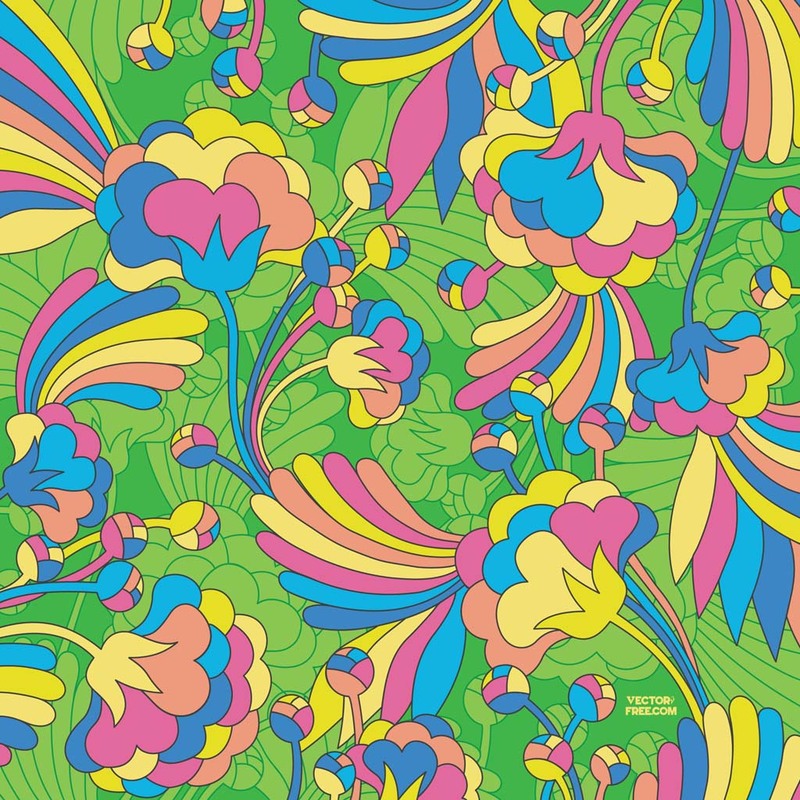 Psychedelic flowers pattern with stylized floral graphics. Flowers are never out of fashion. Download beautiful Illustrator background with retro flower illustrations for your sixties or seventies textiles print, fashion pattern, flower power, hippie, nature, botany, garden or park designs. Flowers suggest freshness, youth and beauty, so they are a natural match for your invitation layouts, greeting cards, T-shirt print or website backdrops. Tags: 60S, 70S, Blooming, Flower Power, Plants, Retro, Seventies, Sixties.